Its finally open! 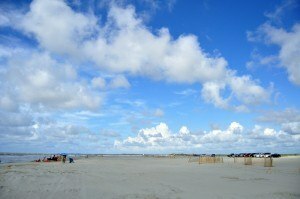 Folly Beach County Park is finally open after almost 2 years of being closed. Visitors are welcome. Theres parking and lifeguarded beach access. But if you go expecting the park from before Tropical Storm Irene, then you might be disappointed. The best parts of the parklots of parking and open, beautiful, lifeguarded beach spaceare still there and are sure to draw a crowd all summer long. But the tall dunes that once separated the parking lot and the beach are gone. The building that housed concessions, showers, and a boardwalk to the beach are gone as well. There is still plenty of beautiful beach space at the county park. Theres room for lounging, sandcastle building, swimming, and any other beach activity that you might want to do. Small fences protect the area where the dunes once were and separate the beach from the parking lot. 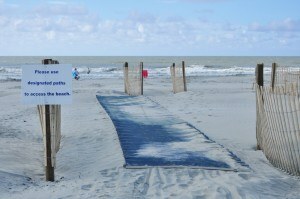 You can access the beach on designated paths to help prevent further erosion of the dune areas. These paths are clearly marked, and in some places have a walkway. 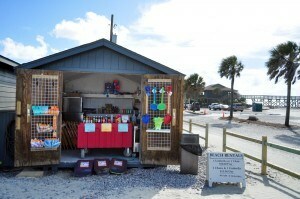 A small building has been set up adjacent to the beach with all kinds of beach suppliesshovels, buckets, sun screen, boogie boards, chairs and moreand also snacks, drinks, and sno cones. Just like before, you can rent umbrellas and chairs to use on the beach. Retail and rentals is open every day through August 18 and then on weekends until September 29. One advantage to the county park on Folly was always access to restrooms and showers close to the beach. Without the same buildings and infrastructure, the county park is relying on porta-potties, some of which are handicap accessible, spaced along the length of the parking lot. 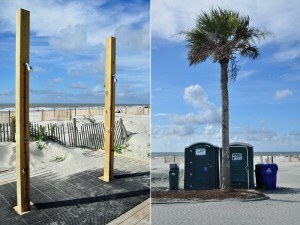 Outdoor showers are now located on a platform near the Pelican Watch Shelter. Please no soap or shampoo in the showers, please. 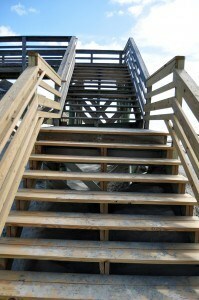 The Pelican Watch Shelter has new steps that connect it to the beach, and the shelter is open and available for event rentals. 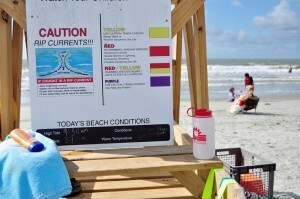 Lifeguards are on duty on the beach daily through August 18 and on weekends until September 29. 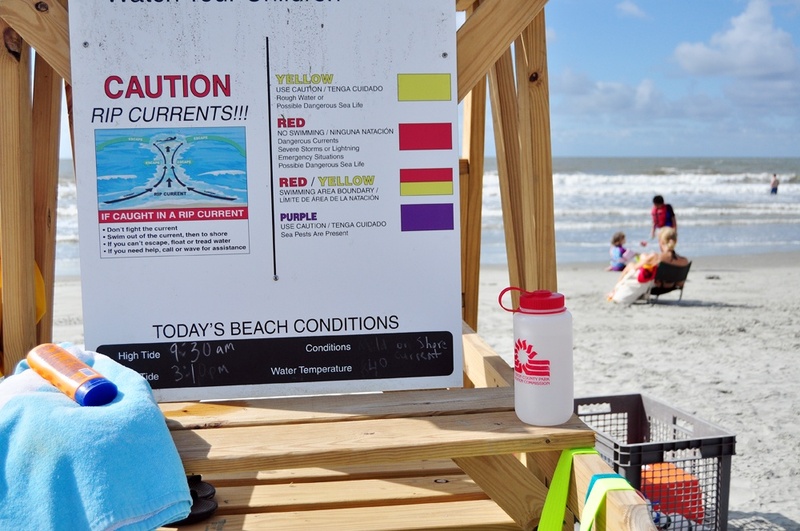 As one of the few beaches in the area offering lifeguarded space, this makes the county park extra attractive to families. If you walk far enough south down the beach at the Folly Beach County Park, youll find the terminal groin. 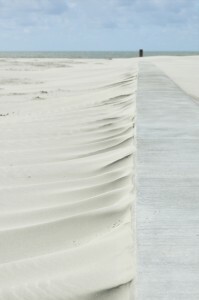 The low-profile and deeply buried length of concrete and metal is there to help slow erosion on Folly Beach to help keep the park in place for years to come. Admission to the park is free for Gold Pass Members, walk-ins, or bike-ins. Regular sized vehicles are $8. RVs or campers are $20 for all-day parking. Buses and other large vehicles are $40 for all day. Remember, though that space at the park is limited, so get there early or carpool for parking and prime beach space, especially on busy weekends. This is the perfect place for some weekend.serenity. My husband and I spend every Sunday there now. The only sounds you hear are the ones provided by mother nature. @MariposaAdmission to the park is free for Gold Pass Members, walk-ins, or bike-ins. Regular sized vehicles are $8.